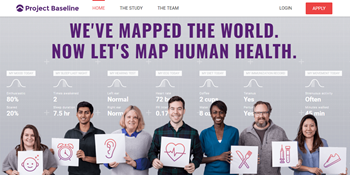 Alphabet’s life sciences business, Verily, launches its Project Baseline initiative, a project aimed at creating a database that will be used to look for early warning indicators for a variety of illnesses. The project will sequence the genomes of 10,000 volunteers, and then use an activity tracker to monitor a participant’s sleep, activity, heart rate, and other health metrics over the next four years. From Not Surprised: “Re: HIMSS buys Health 2.0. HIMSS continues to gobble up industry trade shows, this time opting for one that it hopes will ‘make it possible for HIMSS to have a greater influence on the cutting edge of health IT.’ While I’ve never been to a Health 2.0 event, I always got the impression that it was a far more energetic, grassroots affair than the typically straitlaced HIMSS events. Healthcare IT is already filled to the brim with boring suit-and-tie shindigs that, instead of moving the industry forward, serve only to line the pockets of organizers. I can only hope that this deal won’t result in Health 2.0 losing its edge.” HIMSS has indeed acquired the Health 2.0 conferences, which now span five continents. Health 2.0 CEO Indu Subayia, MD will join HIMSS as an EVP, while co-chairman Matthew Holt will move into a consultant role. This week on HIStalk Practice: Providence Medical Group plans roll out of Chiron Health telemedicine services. GAO report outlines challenges, benefits to Medicare telemedicine programs. CMS proposes MU reporting changes, exceptions, and exemptions. Evans offers ambulatory providers emergency preparedness protocols. Michigan goes live with new PDMP. Practice EHR, Sequel Systems announce e-prescribing capabilities. Grand Rounds opens its first East Coast office. MDLive faces class-action lawsuit for alleged patient privacy violations. Thanks for reading! April 28 (Friday) 1:00 ET. “3 Secrets to Leadership Success for Women in Health IT.” Sponsored by HIStalk. Presenters: Nancy Ham, CEO, WebPT; Liz Johnson, MS, FAAN, FCHIME, FHIMSS, CHCIO, RN-BC CIO, Acute Care Hospitals & Applied Clinical Informatics – Tenet Healthcare. Join long-time C-level executives Liz Johnson and Nancy Ham as they share insights from nearly three decades of navigating successful healthcare careers, share strategies for empowering colleagues to pursue leadership opportunities, and discuss building diverse executive teams. This webinar is geared toward female managers and leaders in healthcare IT seeking to further develop their professional careers. It’s also intended for colleagues, executives, and HR personnel who are looking to employ supportive techniques that ensure diversity in the workplace. Cardinal Health will acquire Medtronic’s Patient Care, Deep Vein Thrombosis and Nutritional Insufficiency businesses for $6.1 billion in cash. Siemens Healthineers will acquire Medicalis for an undisclosed sum. Siemens plans to fold the San Francisco-based company’s clinical decision support, imaging workflow, and referral management technologies into population health management line. Care Innovations will relocate and expand its R&D center in a $1.7 million project that will create 24 jobs in Louisville, KY. The Roseville, CA-based home health and remote monitoring company – a joint venture between Intel and GE – opened its first office in the area 18 months ago. James “Butch” Baxter (Santa Rosa Consulting) joins Nashville-based secure messaging vendor Medarchon as CEO. Founder Baxter Webb will take on the role of chief strategy officer. LifeBridge Health (MD) moves forward with an enterprise-wide roll out of Cognizant’s Onvida communications software. NTT Data Services will offer Praxify’s Mira voice-enabled charting technology. Experian Health works with MyHealthDirect to add patient self-scheduling to its line of self-service payment tools. Surescripts develops an accuracy monitoring tool for e-prescribing to help providers and pharmacists reduce callbacks and faxes, and better understand utilization patterns. Healthgrades rolls out CareChats to help providers and patients stay in touch between appointments. The automated text- and email-based communications software integrates with the company’s CRM. ImageMoverMD creates a Web-based solution to import medical images into a user’s EHR. Arkansas Surgical Hospital selects PeerWell’s PreHab mobile app to help patients prepare for and recover from joint replacements. 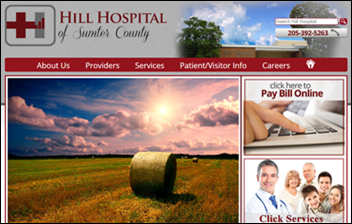 Hill Hospital of Sumter County (AL) will add CPSI subsidiary Evident’s Thrive EHR to its existing Evident financial management tech. At a meeting earlier this week with White House officials, health insurance lobbyists and executives seeking assurances that subsidies would continue to be paid for low-income consumers buying individual marketplace plans – a step seen as critical to stabilizing the individual markets – were given no assurances and were instead told to take the matter up with Congress. Nearly a month after Elon Musk announces his intent to develop an implantable brain-computer interface, Facebook unveils its plans to develop a similar interface that lets you type with your thoughts. 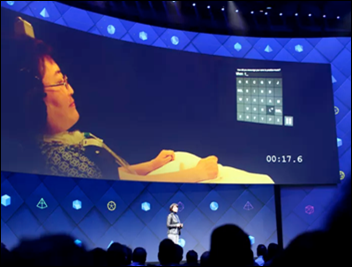 The ultimate goal, according to Facebook researcher Regina Dugan, is to develop an interface that enables a person to to type even faster than they could with their hands, at close to 100 words per minute. AMA introduces a web-based EHR training tool developed by Regenstrief Institute that uses records from 11,000 de-identified Eskenazi Health (IN) patients with built-in medical histories going back as far as 40 years. The EHR training platform includes functionality based on Meaningful Use Stage 2 certification criteria so that the workflows will be similar to what residents will see in a hospital setting. I interviewed Regenstrief Institute CEO and Indiana University School of Medicine Professor Peter Embi, MD last month. Intelligent Medical Objects will exhibit at the European Federation for Medical Informatics meeting April 24-26 in Manchester, England. Kyruus, Experian Health, and the SSI Group will exhibit at the NAHAM Annual Conference April 25-28 in Dallas. 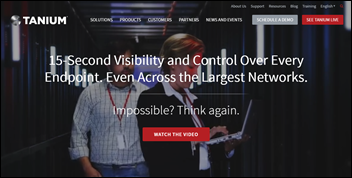 LogicWorks will exhibit at the Alert Logic Cloud Security Summit April 26 in New York City. MedData will exhibit at the HFMA Hawaii annual conference April 20-21 in Honolulu. Clinical Computer Systems, developer of the Obix Perinatal Data System, will exhibit at the Florida Perinatal Quality Collaborative meeting April 27-28 in Tampa. PatientKeeper will exhibit at the MUSE Community Peer Group-Canada East Coast April 27 in Nova Scotia. PokitDok cofounder and CTO Ted Tanner will present at Business and the Blockchain April 24-25 at Rice University in Houston. Sphere3 Consulting moves into new office space in St. Joseph, MO. Surescripts will exhibit at Health Datapalooza April 27-28 in Washington, DC. PMD makes the San Francisco Business Times 2017 Best Places to Work list.